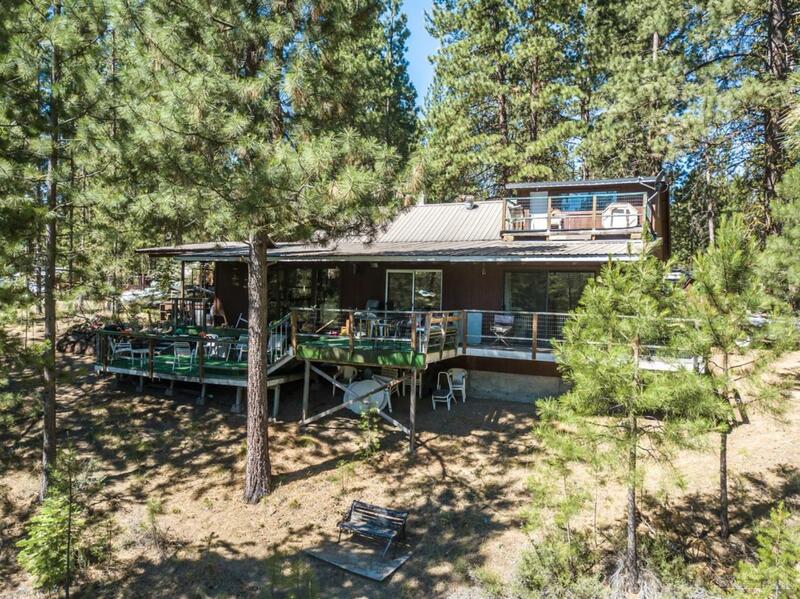 Deschutes River frontage home in an incredible location downstream from Wickiup Dam. Vintage 1801 sf, 3 bedroom, 2 bath home on a .83 acre lot with views of the river from many rooms. Large lower and upper view decks. Metal roof. Detached 1 bay garage with storage area and double door. 4 bay carport. Boat dock for kayaks and canoes. This is a retreat (no grocery stores around the corner). If fishing, boating, kayaking or canoeing is your passion, you are about 1 mile from Wickiup Reservoir.